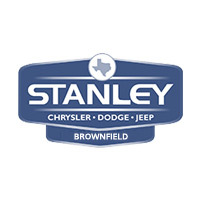 When choosing the right new Jeep Cherokee for sale in Brownfield, drivers know they will find low prices, wide selection, and easy financing at Stanley CDJR Brownfield. Find how the all-new Cherokee compares the Grand Cherokee and, when you’re ready to add a new level of adventure to your Hobbs commute, contact an associate to see why we’re the go-to destination for Texas outdoor enthusiasts who demand more for their money. Trail-Rated: Select trims have undergone rigorous testing to ensure they can handle even the toughest trails and get you back home and have the coveted “Trail Rated” designation to prove it. Efficient Power: Drivers can choose from the fuel-efficient 2.4 L 4-cylinder Tigershark engine to make the daily drive affordable or opt for the power of the 271-hp 3.2 L Pentastar V6 or 270-hp 2.0 L turbocharged 4-cylinder. Selec-Terrain: The Cherokee delivers sure-footed performance with the available traction management system that allows drivers to choose between Auto, Snow, Sport, Sand/Mud, or Rock driving conditions. Luxury Touches: High-tech infotainment, refined interior design, available leather, and more make the Jeep Cherokee as stylish as it is capable. And this is only the beginning! Read reviews for the 2019 Jeep Cherokee and compare the new Jeep models available at Stanley Chrysler Dodge Jeep Ram Brownfield to get back on the road to adventure.